Next time your out be sure to pick up some delicious seasonal berries. They are sweet and delicious this time of year. They make a wonderful treat to eat alone or to top on a salad. 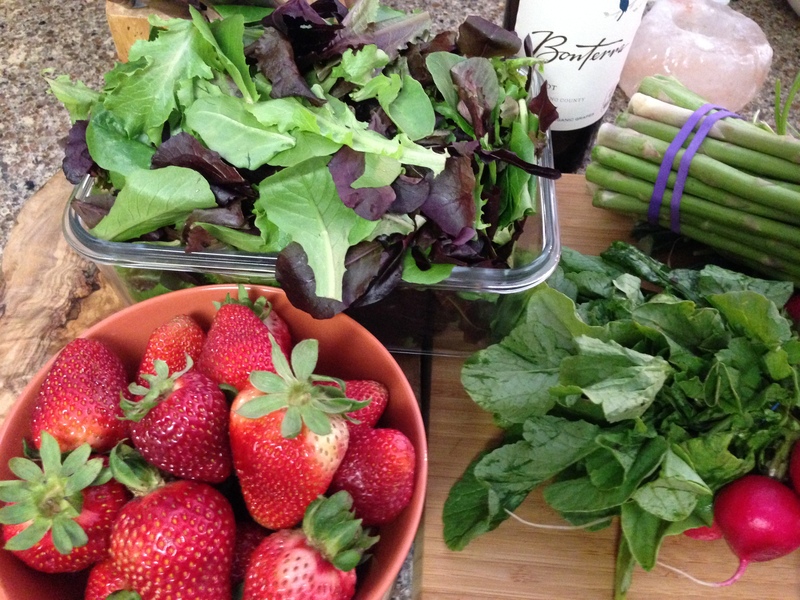 We picked up fresh organic baby mixed greens and sliced up some yummy strawberries with a light drizzle of balsamic vinaigrette, and WOW was it great. Its a super tasty snack or lunch when your in a rush. When your short on time, top your salad with some nuts like raw sunflower seeds to pack in a bit of nutrition, while adding some lovely taste and texture to your delicious and yummy salad. Have a wonderful day and make it GREAT! Be sure to remember to choose good mod food!